Oak Beard Brush. 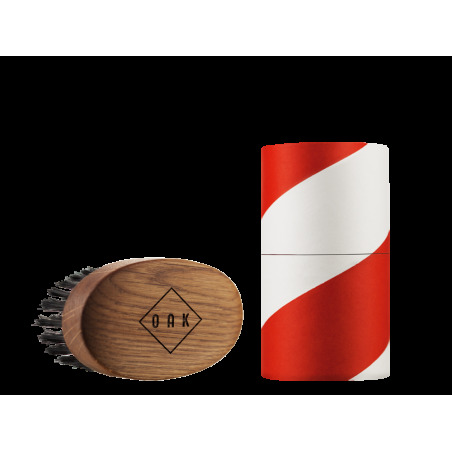 The BEARD BRUSH keeps the beard in shape, invigorates the skin and prevents the beard from drying out. When the beard grows longer, insufficient sebaceous supply can let the hair dry out. Curly hair and uneven growth brings the beard out of shape, dandruff and loose hair get entangled in the beard. oval shape, the brush can be applied in all types of beards and narrower parts of it, such as sideburns, moustaches and chin beards. 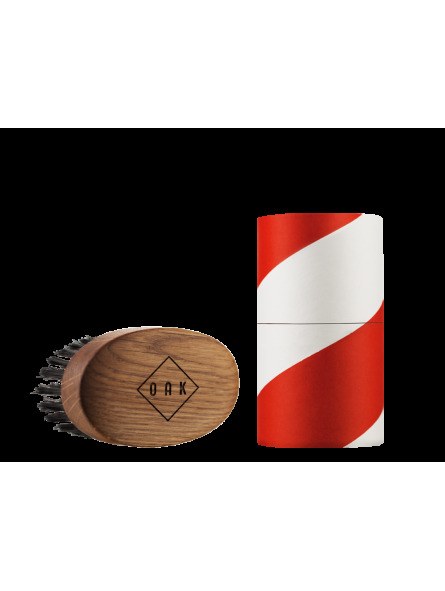 To achieve a close beard run the brush evenly and over as large an area as possible in the direction of growth through the beard, to get more volume brush against the direction of growth. Depending on the desired massaging effect, press the brush more or less firmly. Oiled oak wood, strong wild boar bristles.